Discussion in 'Character Biographies' started by Anonymous, Apr 14, 2019 at 2:00 AM. Chelsea's a nativeborn resident of Valley Station, Kentucky born back in 2003. She lives with her mother, Charlotte Barnes not far from Stuart Middle School. Her mother works at the local hospital as a nurse, and is generally well liked by others in the neighborhood. "The Mall's gone...and Mister Shepherd's place is gone..Are.. any of the adults still alive, or..? Maybe things won't get better.."
Charlotte Barnes: ...I hope you're okay, Mom... I don't know if you'd be so happy with everything that's happened..to me, and..some things I've done. I've gotten some friends..a-and I think I'm doing okay at least.. the adults say I'm better than some of the adults so that's good, right? But.. It's still really hard.. I know that Louisville is probably filled with those monsters. I don't want to think about it, but that's what it seems like..
Logan Victor Karths: Thanks for staying with me, Mister Logan. I...I know it's dangerous out here, so it's nice to have you around to help, in case something goes wrong. Hanna Alden: Thanks for playing with me! I hope that we can spend some more time together. You're older than me, but also the only girl that's really been much of a friend after all this. Janie likes you too. I heard you and your dad went with Mr. and Mrs. Spencer. Stay safe out there! Mister Alden: You sound like a good dad, Mr. Alden. I don't get all the jokes you make, but I wouldn't have minded having you for a father growing up. Keep Hanna safe, please. Mister Emerson: You're very nice, Mister Emerson. I'm sorry that I've been a bit disobedient, but... I don't think it's the best idea to stay stuck in the mall.. I'm not that much of a kid..
Miss Lexi: Please take care of the people around you.. Miles: You're really mean.. More than you should be... But I still hope that you didn't die..
Devlin: I'm sorry about that.. I'm sorry that I made you angry..I'm sorry that I made you angry that you're probably going to get kicked out.. You..You should've acted smarter but..I'm sorry..
Rebecca: I'm happy you're here with me, Rebecca! Lets make sure we're both careful, okay? I don't want to lose my new best friend.. And hey, we're gonna be okay. Even..if the adults aren't. Mister Shepherd: All I can say is I hope you're okay. I don't think I found any bodies, but... what happened..? Did the Mall people attack you and everyone else there..? ..Please respond on the radio soon, Mister Shepherd..
'Castle'/Castillo: I hope your arms get better, Mister. Bethany: That was so nice of you to give me the gift... I'm sure Janie will really enjoy the dog plushie, and the tennis balls. I'm not so sure that it's safe enough to use the frisbee, but thanks again... Was that you up at the big building? Warehouse Group: You put up dead people's heads on sticks.. Two of you people pointed guns at me.. and I think you might've been responsible for attacking the mall.. why are adults so terrible..? 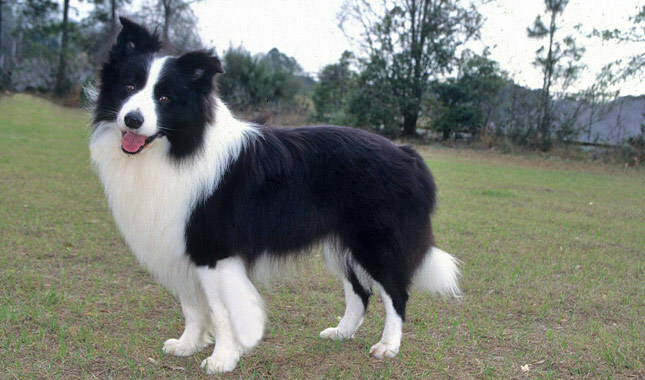 Chelsea's beloved Border Collie, Jane has been with the family for nearly five years, adopted as a pupper from the local kennel. Considering Charlotte's continuous and constant work as a nurse, she saw fit to get her daughter a companion that would be around for her as she worked late into the morning at the hospital. Jane's a loving dog for her family and has been lovingly trained by Chelsea to follow a number of orders and tricks. She's generally nice to others, though has an intuitive sense of people that may be good or bad, and will react accordingly to protect her human.